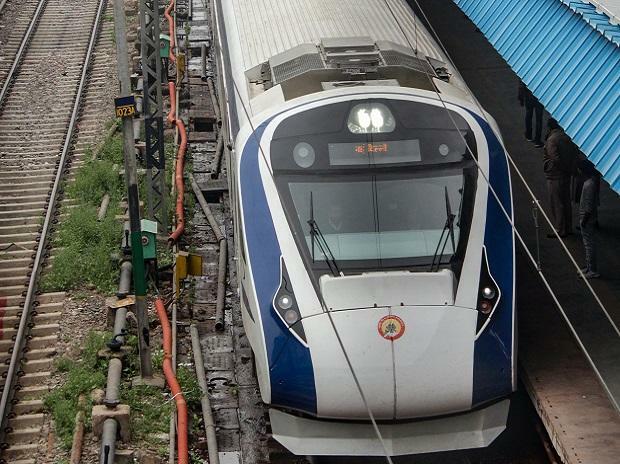 Vande Bharat Express is developed and designed in India whereas earlier designs (ICF, LHB) were imported. Hitting back at Rahul Gandhi over his dig at the Make in India programme after Vande Bharat train experienced trouble during its initial run, Union Minister Piyush Goyal said the Congress president has insulted India's intelligence and hardwork by mocking the initiative. After the semi-high speed train ran into trouble early Saturday, Gandhi tweeted, "Modi ji, I think Make in India needs a serious rethink. Most people feel it has failed. I assure you we in the Congress are thinking very deeply about how it will be done." In a quick response, Goyal tweeted, "Such a shame that you choose to attack the hard work and ingenuity of Indian engineers, technicians and labourers. It is this mindset which needs a reset. 'Make In India' is a success and a part of crores of Indian lives. Your family had 6 decades to think, wasn't that enough?" In a Facebook post Sunday, Goyal further said Gandhi has "insulted" India's intelligence and the hardworking engineers of railways who have put in backbreaking effort to build the country's first indigenous semi-high speed train, the Vande Bharat Express. "Somebody who was unable to explain why Engineers Day is celebrated, he insulted the hardworking engineers of railways who have put in backbreaking effort to build India's first indigenous semi-high speed train, the Vande Bharat Express. Rather than encouraging them, he has taunted them," he said. "Vande Bharat Express is developed and designed in India whereas earlier designs (ICF, LHB) were imported. It costs less than half of the cost to import a similar train. It has set the highest standards in Railways & is already fully booked for the next two weeks," he said. Escalating the attack on Gandhi, Goyal said the modern coach factory in Rae Bareli, which is Lok Sabha constituency of his mother and Congress leader Sonia Gandhi, is a live example of how Congress makes empty promises. Sharing the details of the turnaround of modern coach factory in Rae Bareli, Goyal said its foundation stone was laid in February 2007 but the construction began only in May 2010. The factory was slated to produce 1,000 coaches. However, only 375 coaches were "refurbished" between 2011 to 2014 during the Congress-led UPA regime whereas it should have been fully manufacturing coaches. As the prime minister said it only painted coaches and tightened screws during the period, Goyal said. "In August 2014, it finally started production of fully formed coaches. Since then it has doubled production almost every year: 140 coaches in 2014-15, 285 in 2015-16, 576 in 2016-17, 711 in 2017-18. We hope to produce 1,422 coaches in 2018-19," Goyal said in the post. He underlined that the turnaround of modern coach factory in Rae Bareli required a change from the "pessimistic mindset inculcated by Rahul Gandhi's family", which the Prime Minister Narendra Modi-led government has done so successfully. "This turnaround was possible only through better management of resources, coordination and focussed leadership," he said, adding that the factory was a "shining example" of the Make in India programme. The coach factory "has boosted local economy of Rae Bareli. It has created employment opportunities for local youths and invigorated industries in vicinity", he said.